The HP-40 ultra high pressure control valve from Badger Meter, is available through Pump Engineering. Precision valve manufacturer, Badger Meter, has added the HP-40 ultra high pressure control valve for liquids and gases to its range of control valves, available through liquid handling specialists, Pump Engineering. The HP-40 control valve is designed for high pressure applications such as automotive, fuel cell and research applications. In these situations, the valve is able to control high pressure liquids and gases such as hydrogen, supercritical CO2 and catalyst injection control in high pressure and ultra-high pressure reactors. 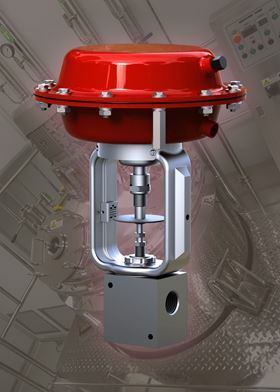 The valve features a tri-axially forged 316L stainless steel body, a solid Stellite inner valve assembly and standard packing material of Torlon with PFA CV rings. It has a pressure rating of 40,000 psia (2758 bar) and can be used for both flow control as well as a Class lV shutoff valve. Among the standard features are a wide range of interchangeable trims, a choice of linear or quick opening trims, ANSI Class lll shutoff for sizes P-1 through P-9 and ANSI Class lV shutoff for sizes K through O and a 9/16 inch high pressure cone and collar fittings. The iSonic 4000 by Badger Meter is an ultrasonic flow meter for open channels and partially filled pipes.